Square Enix’s Rise of the Tomb Raider was released on both the Windows 10 Store and Xbox Store at the end of January despite previous talk the game would be made an exclusive to Xbox users. 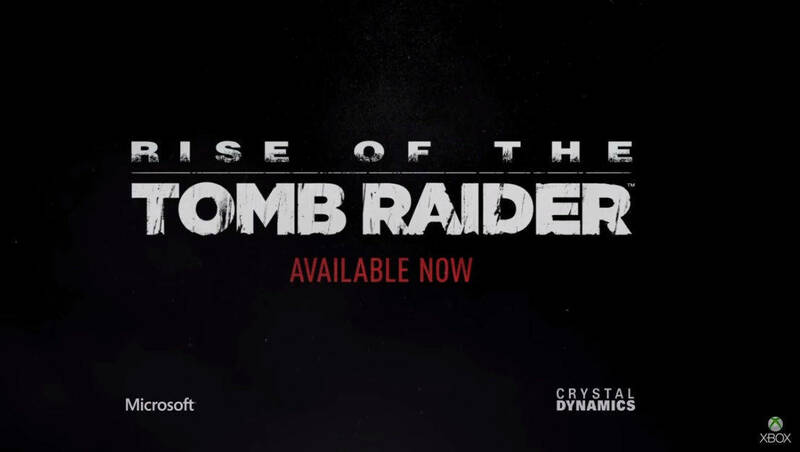 Recently, the game enjoyed an updated with support for DirectX 12 and now, Square Enix and Crystal Dynamics have revealed a March 29th release date for their upcoming Rise of the Tomb Raider DLC titled Cold Darkness Awakened. “Decommissioned during the Cold War, a dormant weapons research base has been breached, unleashing a mysterious affliction into the Siberian wilderness that transforms men into blood-thirsty, mindless killers. Lara must overcome increasingly dangerous waves of these infected adversaries while scavenging their equipment and crafting additional gear on the fly, in kill or be killed survival-combat. A new video showing the complete Rise of the Tomb Raider experience was released as well, giving us a first look at Cold Darkness Awakened. This new DLC has Lara exploring the most treacherous and remote regions of Siberia to find the secret of immortality before a ruthless organization known as Trinity does first. Over the course of the new campaign, you’ll experience high-octane action, conquer beautifully deadly environments, engage in brutal guerilla combat, and explore awe-inspiring tombs. Cold Darkness Awakened is also part of the game’s season pass, so if you have one, you’ll get it for free. The Rise of the Tomb Raider Season Pass also contains Endurance Mode and the recently released Baba Yaga: The Temple of the Witch DLC. If you don’t have the game yet, you should know that it’s currently being featured in the Xbox Store’s Spring Sale from March 22 – 28.